In conjunction with its partnership as an official sponsor of the Geneva Time Exhibition (GTE), Antiquorum is will host a display of exhibitors’ pieces in its Geneva showroom. This display, open to the public, is being held from Jan 15 until the Feb 11 and features a selection of high-end brands also participating in the GTE including Badollet, Celsius X VI II, Drakkar, Hautlence, Laurent Ferrier, Manufacture Royale, H.Moser & Cie, Quinting, Reuge and Speake-Marin. Most of the models exhibited in the Antiquorum showroom are also exhibited at GTE, but shown in different variations or materials. 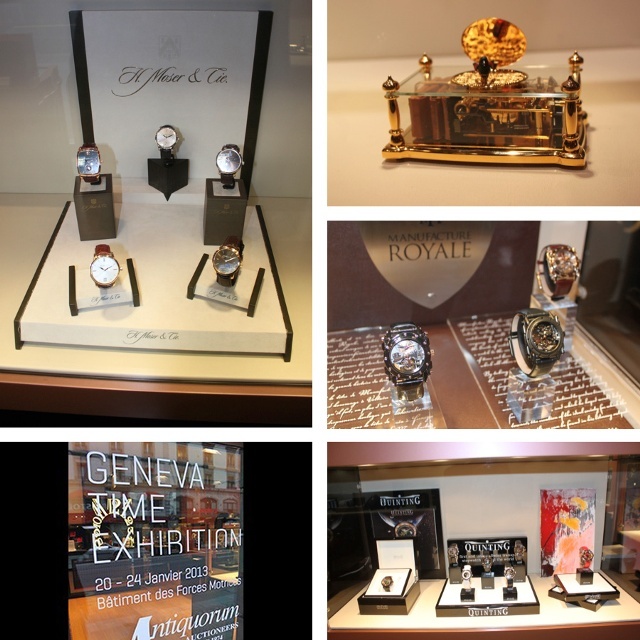 Hosting a special exhibition where clients and visitors can view these special brands in an intimate setting is yet another way for Antiquorum to support and promote the know-how, expertise and innovation of the independent Swiss watchmakers, Watch Expert and Managing Director, Antiquorum Geneva Julien Schaerer said.